Mr. Schuster and his wife, Elaine, at their 65th wedding anniversary celebration in 2017. As founder of Continental Wingate, Gerald Schuster built a company that grew to include real estate and property management, health care, and financial services as it stretched from its Boston roots far across the country. To those who knew him well, though, he was always part of Elaine and Jerry, an inseparable couple whose unstoppable fund-raising was essential to the success of generations of Democratic candidates, locally and nationally. “It’s impossible to talk about Jerry without talking about Jerry and Elaine, because they were a team,” said Nancy Pelosi, a California Democrat who is the US House minority leader and a former House speaker. “The two of them together are a force,” said US Representative Joseph Kennedy III, a Massachusetts Democrat. Pelosi and Kennedy were among the hundreds of mourners who gathered Sunday in Temple Israel of Boston to celebrate the life of Mr. Schuster, who was 89 when he died of cancer Wednesday in his Boston home. Also at the service were current and former Massachusetts politicians including John Kerry, US Senator Edward Markey, Secretary of State William Galvin, Attorney General Maura Healey, Treasurer Deb Goldberg, and Boston Mayor Martin J. Walsh. Clinton spoke about a golfing outing, while he was president, when he had to pause to take a call from the British prime minister. Mr. Schuster, his golfing partner, immediately announced he was making “an equally important call,” Clinton recalled. When Clinton asked with whom he was speaking, Mr. Schuster answered simply: “Elaine.” Those in the synagogue roared with laughter. With his wife, Mr. Schuster created an ongoing legacy through their support of the organ transplant field, particularly at Brigham and Women’s Hospital, which is home to the Schuster Family Transplantation Research Center. Their children inspired that initiative. While in college years ago, their son Mark donated a kidney to his younger brother Scott, whose kidneys were failing because of a hereditary ailment. Jerry and Elaine Schuster turned attentiveness to their children into compassion for countless others they would never meet. 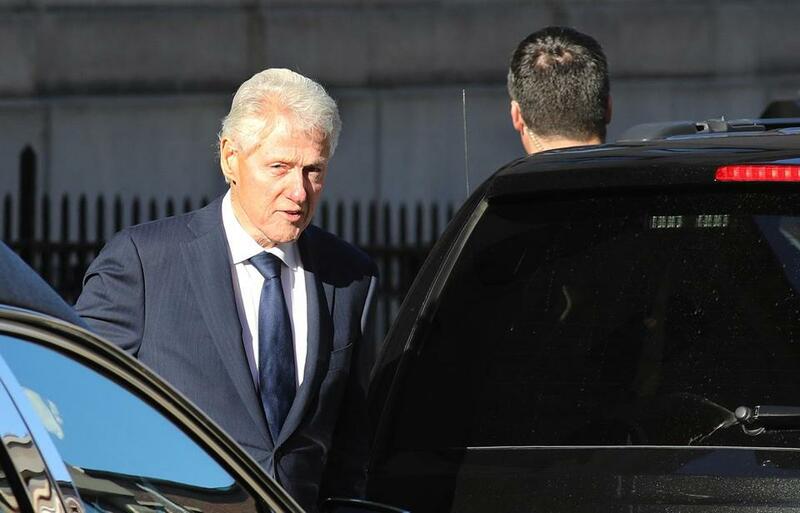 Bill Clinton, the former president, was among those attending Sunday’s memorial service for Mr. Schuster. The younger of two brothers, Gerald Schuster was born in Dorchester and grew up in Brookline. His mother, the former Rose Weinbaum, was a homemaker, and his father, Maurice Schuster, was a diamond importer. Mr. Schuster went to Brookline High School and graduated from Clark University with a bachelor’s degree in economics. He worked for a time for his father-in-law, and for his father, before founding Continental Wingate in 1965, and initially entering the housing rehabilitation field. His sons eventually joined him in the business. In 1952, Mr. Schuster married Elaine Seigel, whom he met over a pickle barrel at a Nantasket Beach shop. After they dated, “I said, ‘Listen, let’s get married. I mean, we’ve both got nowhere else to go. Let’s go together,’ ” he recalled in their anniversary video. Mr. Schuster “built his world with her and around her,” Scott said. Among the couple’s many philanthropic endeavors was founding the Schuster Institute for Investigative Journalism at Brandeis University. 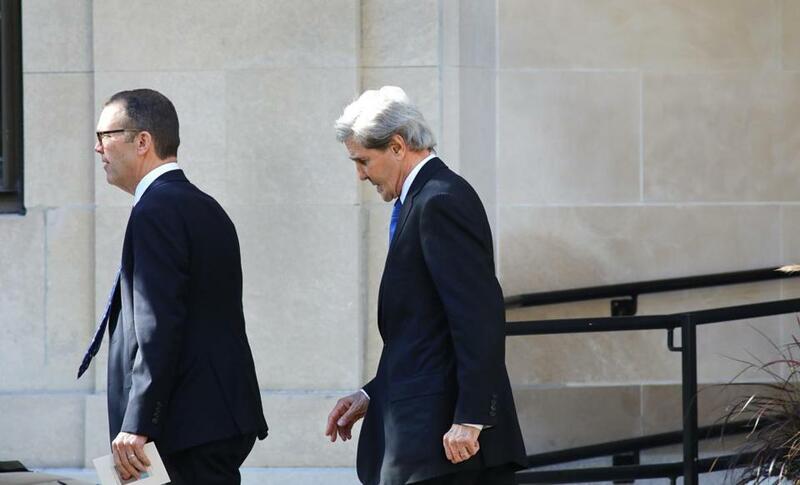 Former secretary of state and US senator John Kerry also attended the service. Elaine provided the impetus for their political fund-raising, prompted in part by her concern for the future of women — eight of their nine grandchildren are women. 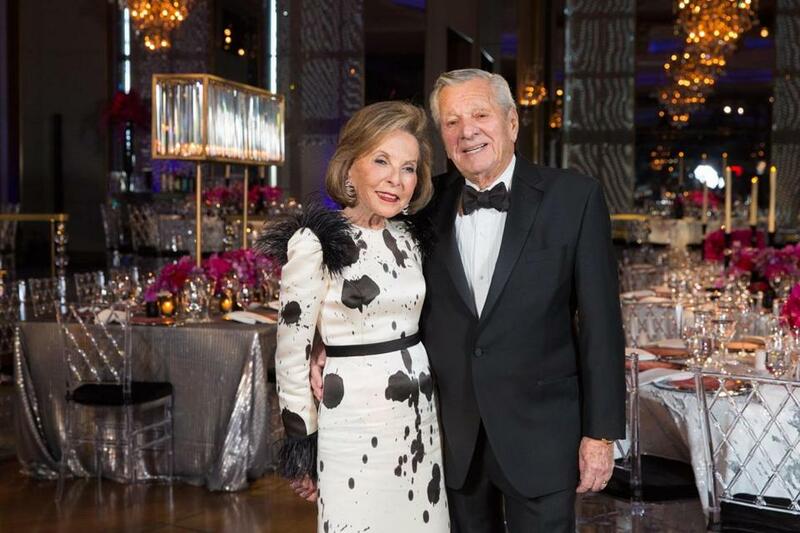 At the family residences — they also had homes in Osterville and in Palm Beach, Fla. — the Schusters held dinners that could raise more than $1 million in an evening. Sometimes James Taylor would provide the entertainment. In addition to his wife, Elaine, his sons Mark and Scott, and his grandchildren, Mr. Schuster leaves a daughter, Jodi Labourene of Palo Alto, Calif., and another son, Todd of Miami. 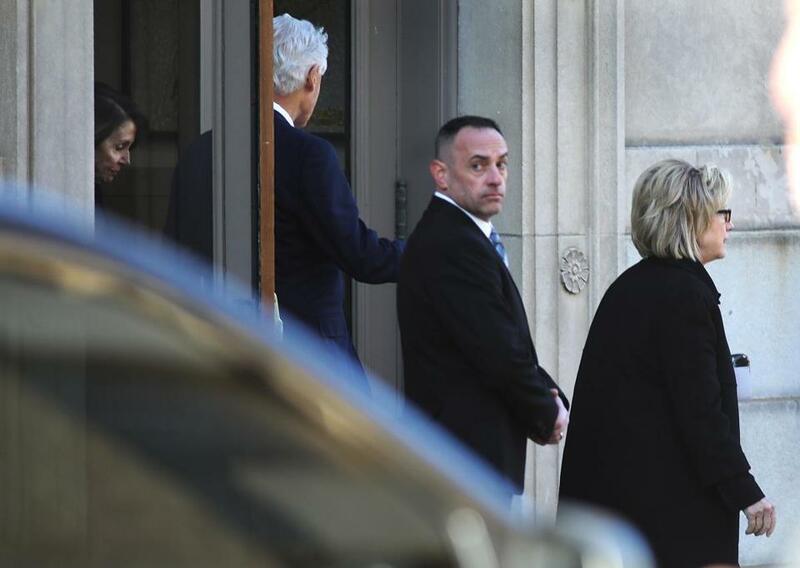 Bill and Hillary Clinton left Temple Israel. Bryan Marquard can be reached at bryan.marquard@globe.com. Jeremy C. Fox can be reached at jeremy.fox@globe.com. Follow him on Twitter @jeremycfox.